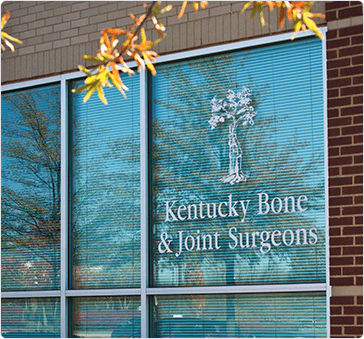 Kentucky Bone & Joint Surgeons offers convenient orthopedic and sports medicine care in Lexington, Kentucky. To schedule an appointment, please call (859) 276-5008 or request an appointment online. Our Lexington orthopedic office is conveniently located off of Blazer Parkway near Saint Joseph East Hospital.